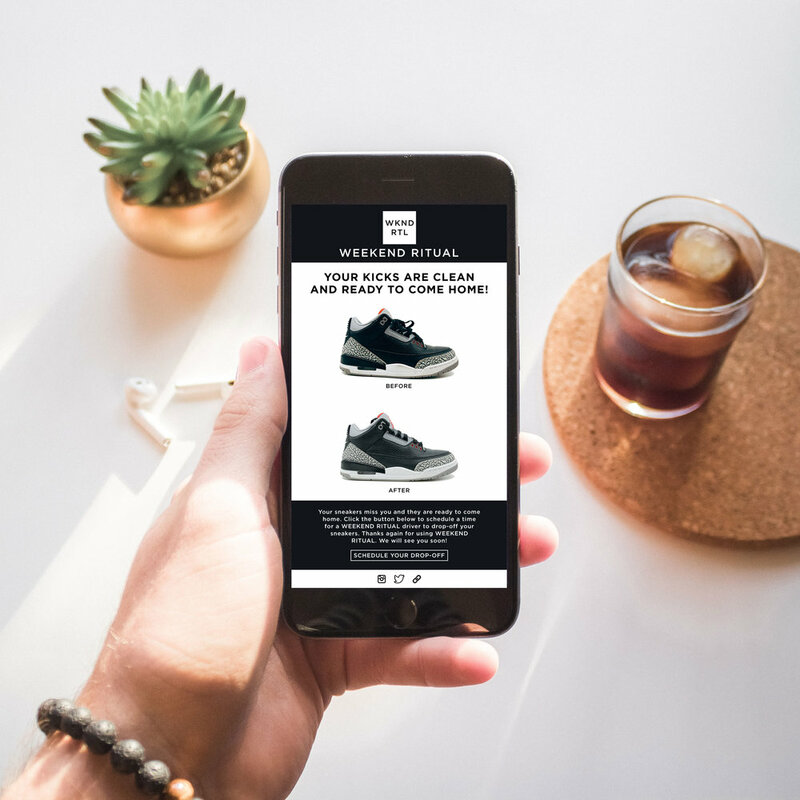 WEEKEND RITUAL is the most convenient, premium sneaker cleaning service. We pick-up your dirty sneakers, clean them by hand, then drop-off your clean sneakers. We will clean your sneakers by hand using all natural, non-harsh sneaker cleaning products and materials.